This replaces filters in the Countertop Filter (AQ-4000), and older Under Counter Systems (AQ-4500, AQ-4501, AQ-4600 and AQ-4601). AQ-4035 Drinking Water Replacements is rated 4.5 out of 5 by 2173. Activated Carbon Reduces organic chemicals like herbicides, pesticides, VOCs and MTBE. The result: 10x more contaminants reduced plus healthy minerals retained for purely delicious filtered water. One Aquasana Claryum® filter gives you 11x the capacity of the leading gravity-based pitcher at only 11¢ per gallon with Water for Life. Reduces 77 contaminants while retaining beneficial minerals for optimal hydration. No permanent fixtures or installation required. Full system tested and certified to NSF/ANSI Standards 42, 53, 401 + P473. For a complete list of contaminants reduced see our Performance Data Sheet. Rated 5 out of 5 by James Caroleo from Absolutely way above my expectations Installation simple, Tasted water after running water for 10 minutes water never tasted better. Tasted exactly the way I wanted. No foul taste or smell. Searched online till I found this AQ4000. Compared it to practicly all other countertop water filters and decided on the AQ4000 because it appeared to be the best filter and the best buy. Very happy I purchased it, it works Fantastically. Rated 5 out of 5 by tobey624 from Great tasting water I bought this unit a month ago and am very happy with how it works. The water tastes great. This unit is easy to install and I strongly recommend it. Rated 5 out of 5 by Sally from Great Filter This filter has been what I have been looking for. Rated 5 out of 5 by sharonh from Love This Filer System! 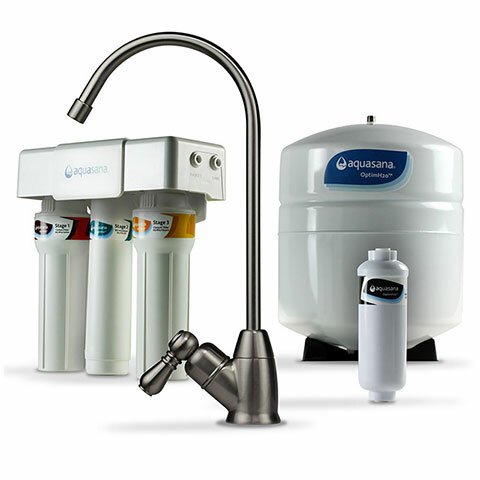 I have tried many brands of water filter and was never happy with the performance of any water filter system until I purchased the counter-top system from Aquasana. I must admit that I was skeptical but hopeful about trying Aquasana. I could not be happier! I love this filtered water system and will never have another brand. Rated 5 out of 5 by PaiaDave from We like these filters We use the counter and undercounter plus the shower filter system. We are happy. Do I have to pay for a plumber to install the system? Our countertop drinking water filter system is very easy to install, and it only takes a few minutes to do; no plumber is necessary. If you have any questions or need assistance, our technical support representatives at 866-662-6885 can walk you through the installation process. How often do I have to replace the cartridges and how much do they cost? We recommend replacing the cartridges after six months or 450 gallons, whichever comes first. 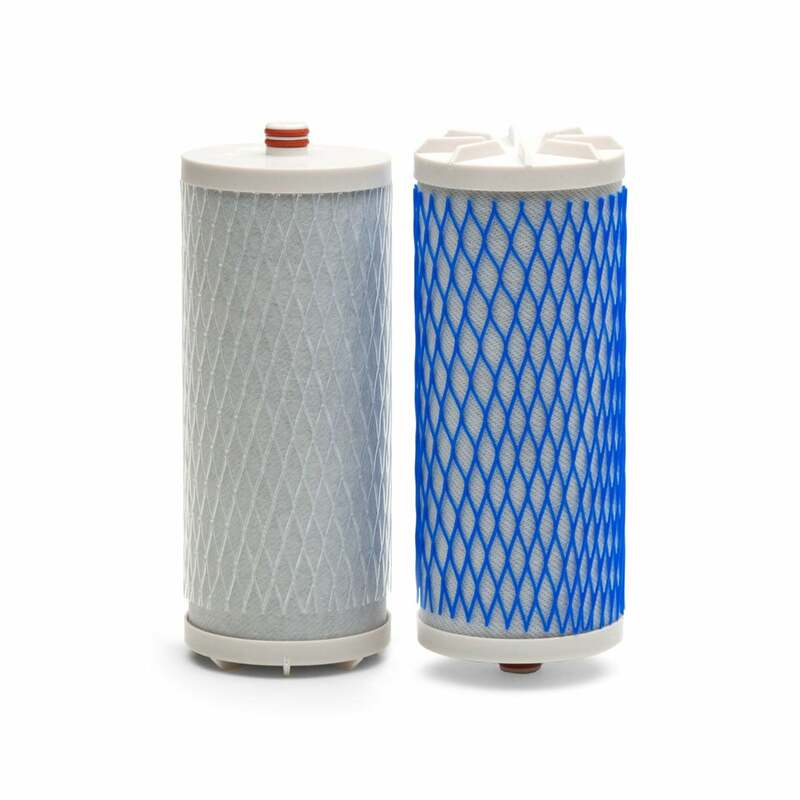 Replacement filters cost $59.99, but you can save 15%, get free shipping, and extend your product warranty by signing up for our no-contract auto-ship filter replacement program, Water for Life. No, and actually, purified water is not as healthy as filtered water. Purified water undergoes reverse osmosis or distillation, which strip everything out of your water - not only the contaminants, but also the healthy, natural minerals. Our system uses selective filtration designed to reduce contaminants from the water and leave in the natural healthy minerals like calcium, potassium, and magnesium. How do I recycle the replacement filters? Our company will recycle the filters for you, but we do not cover the shipping cost to return the filters back to us. In reality, the environmental impact of shipping the filters back to us outweighs the good of recycling. To recycle the AQ-4035 drinking filters yourself, remove the ends of the filters, recycle the plastic parts (which are appropriately numbered) and put the carbon either in your compost pile or garden (carbon is good for plant life), or just throw it out (since the carbon degrades quickly, and is a positive component in a landfill). I'm a renter, so I can't drill or modify the plumbing. Which filter system should I get? The countertop system is perfect for renters because it does not require a new hole in the counter. To install an under counter system, you can remove the existing sprayer or soap dispenser in your rental and install our faucet in its place. This option will not damage or permanently modify your plumbing. When you move out, you can easily remove the system and reconnect your plumbing back to normal. What size adapters do you send with the countertop system (for the diverter hose)? What size is the chrome collar on the countertop system (on the diverter hose)? TDS is the acronym for Total Dissolved Solids, the amount of dissolved minerals and metals present in water. TDS meters tell you the concentration of dissolved minerals and metals, but are not an accurate measurement for contamination. Aquasana products reduce and remove harmful TDS like lead, but selectively retain or replace healthy dissolved solids like calcium, magnesium, and potassium. What is BPA? And why are people concerned about it? BPA stands for Bisphenol-A, a contaminant found in most plastics. BPA can adversely affect your health if consumed at high levels. 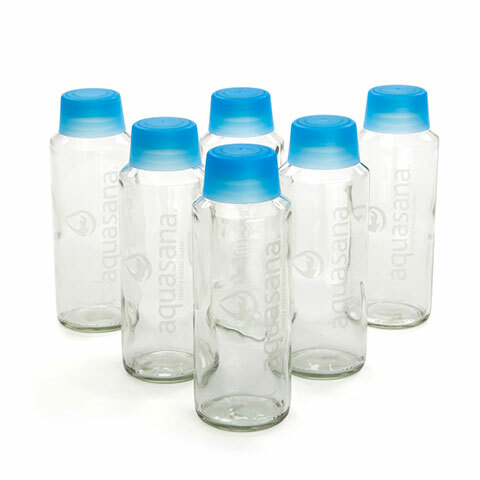 Aquasana drinking systems do not contain BPA, and our filtration process reduces existing BPA. Does having hard water mean it is contaminated? Hard water is more of a nuisance than a health risk, and is not necessarily contaminated. Most water sources in the USA are considered hard. Hard water is generally safe to drink, after it has been properly treated. What is soft water, and is it safe to drink? Having soft water just means you have a lower concentration of dissolved minerals in the water (primarily calcium and magnesium). Soft water does not mean clean water. Your water can be soft and still contain contaminants. What is selective filtration, and how do Aquasana systems filter drinking water? Selective filtration is the process of sub-micron filtration, micron filtration, adsorption and ion exchange, all of which selectively reduces chemicals, heavy particulates and most dangerous heavy metals from the water while maintaining healthy minerals like calcium, magnesium and potassium. How do I know if an Aquasana system will be compatible with my faucet? The only faucets the AQ-4000 water filtration system will not be compatible with are the 2-in-1 faucets that have a detachable sprayer at the faucet opening. 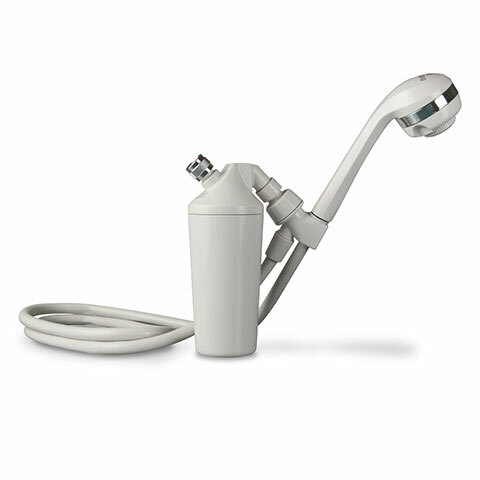 The AQ-4000 will fit most standard faucets and also comes with two adapters. If your faucet happens to be a non-standard size than the hose connection or adapters that come with unit, you can take your aerator to the plumbing section at your local hardware store and have it measured. After you know the size of your aerator, contact technical support with the size and we will see if we carry the right size adapter, and we will send it to you. Make sure you only purchase filters from Aquasana. I ordered one on Ebay that was suppose to work. It looked almost the same but the open end was just a bit different. Couldn't get my money back either. And it stuck in the housing and I had a hard time getting it out. Anyway, if you did order it from the company, I really don't know. The one I got made mine leak and that was my experience. I think sometimes those &quot;new&quot; filters are older ones and maybe Aquasana made them a touch different on newer models. Mine is about 5 years old. Good Luck. I love mine and never had a problem with it until I bought that other filter. how often should the filters be replaced in the 4501? It depends on how much water is filtered per month. &nbsp;I am one person and I change every 3 or 4 months. 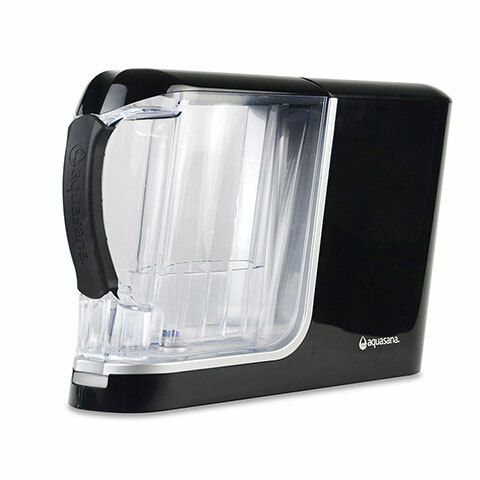 I purchased an Aquasana countertop water filtration system from Costco. &nbsp;What replacement cartridge works for this unit? Do I need to purchase an O-ring for the whole house filters? Can you use the counter top filter for hard water without any other water treatment system? And do you ship to Europe? Can be used for hard water without any other water treatment. &nbsp;I don't know if they ship to Europe as I live in Texas. What is the ph of water filtered with the AQ 4035 filter? Because everyone's water is different when it comes to the pH in water, it is not determinable. The system is designed to remove contaminants in the water, not change the pH. Does this filter remove fluoride?